Careers in Environmental Science are so varied it is difficult to consider them as one category. You could end up working from home most of the time or traveling around the world on an annual basis. You could be doing desk work, field work, or some combination thereof. Your focus could be mathematical, physical, or written. Of course the majority careers in Environmental Science are some blend in-between. Those engaged in Environmental Policy, Planning, and Management usually work for a local government and are likely to be engaged in a lot of research intensive work. Environmental Lawyers may be able to get out of the office to the courtroom, or, again, have intensive desk jobs. Wildlife Managers, Zoologists, and Horticulturists are often thought to have positions which keep them working in a mix of indoors and out, but generally in one location. 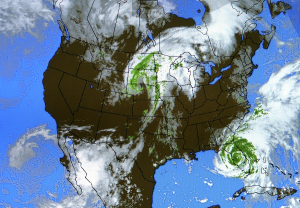 Oceanographers and Meteorologists could spend their entire careers in the safety of a laboratory working upper level computer models, or much of their time at sea, studying the weather. 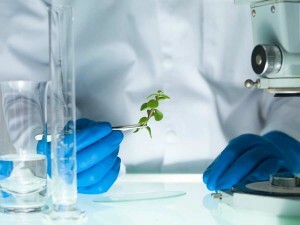 Microbiologists, Soil and Plant Scientists, and Ecologists could work in remediation efforts, for sanitation companies, in manufacturing, at a university, for many private companies, law firms, not-for-profit groups, or government agencies such as the Environmental Protection Agency, the National Park Service, or the United States Geological Survey. Knowing what is available to you professionally is half the battle when choosing a career. Finding something you enjoy doing within the broad scope of Environmental Science shouldn't be terribly difficult when there are so many options. Environmental Consultants may have the best of many worlds, setting their own schedules, seeking clients that need their particular form of expertise, and setting their own blend of ideal field work and intellectual work schedule. Find what you enjoy doing, and it shouldn't be “work”, but a career. Environmental scientists are problem solvers. They research environmental and health problems to determine their causes and come up with solutions. They investigate issues like mysterious deformations in frogs, unexplained cancer occurrences in a neighborhood, or disease in the former asbestos mining town of Libby, Montana. Environmental scientists conduct research to identify the causes of these types of problems, and how to minimize or eliminate them. They also conduct theoretical research that increases our understanding of how the natural world works. They use what they learn to make recommendations and develop strategies for managing environmental problems. Environmental scientists use their knowledge of earth's systems to protect the environment and human health. They do this by cleaning up contaminated areas, making policy recommendations, or working with industry to reduce pollution and waste. They may also investigate the source of an environmental or health problem, and devise strategies to combat it. 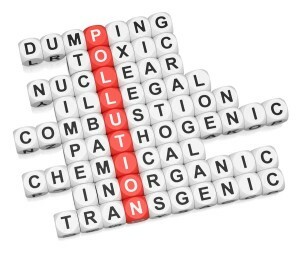 Environmental scientists conduct research to identify, control, or eliminate sources of pollutants or hazards affecting the environment or public health. Their research generally involves determining data collection methods; collecting and analyzing air, water, and soil samples; analyzing environmental data gathered by others; and analyzing for correlations to human activity. They also need to prepare reports and presentations that explain their findings. Environmental scientists also develop plans to prevent, control, or fix environmental problems like air pollution. They may also advise government officials that make policy, and businesses that need to follow regulations or improve their practices. Some conduct environmental inspections of businesses. Many assess the potential effects of development projects to prevent creating new problems. Some environmental scientists and specialists focus on environmental issues, while others focus on issues relating to human health. Either way, they work on critical issues, solving some of the most important problems of our day. Where Does an Environmental Scientist Work? Most environmental scientists work for federal, state, or local governments, where they conduct research, advise on policy, and verify that businesses are following regulations. As of 2012, most environmental scientists (22%) worked in state government. Another 21% worked for companies providing management, scientific, and technical consulting services. These professionals usually help companies comply with regulations. 14% worked for local government agencies. 10% provided engineering services, and 7% worked for the federal government. 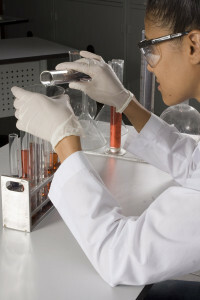 Environmental scientists work in offices and laboratories. While some may gather data and monitor conditions in the field, this is more likely to be done by technicians. Those who do work in the field may find it demanding, and work in all kinds of weather. Travel to client sites or conferences may be required. Most environmental scientists work full time. They may work long or irregular hours in the field. What Is the Average Environmental Scientist Salary? Find your environmental job now! The job outlook for environmental scientists is excellent. Employment is projected to grow 15% from 2012 to 2022, which is faster than the average for all occupations. Issues like climate change and fracking have spurred more public interest in the environment. The country's aging infrastructure will also have to be replaced. These issues will likely fuel job growth. 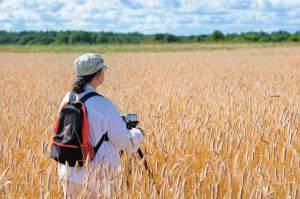 What Environmental Science Careers Are Available? 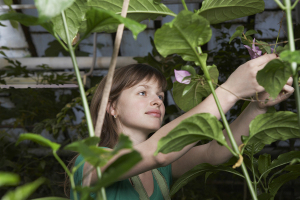 Environmental scientists often begin their careers as environmental technicians or research assistants. These professionals can work their way up to supervisory positions over time. Eventually, they may be promoted to program management or research positions. Other environmental scientists and specialists leave the private sector to teach or conduct research as faculty members in academia. Graduate study is often required for advancement, as well as academic positions. 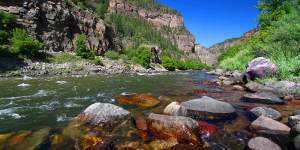 How Do I Get an Environmental Science Degree? 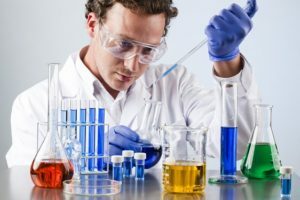 Most entry-level jobs require a bachelor's degree in environmental science or related field such as microbiology, chemistry, physics, geosciences, or engineering. Students enrolled in environmental science programs study the sciences broadly, taking courses in biology, chemistry, geology, and physics. They may take more specialized courses in hydrology and waste management as well. 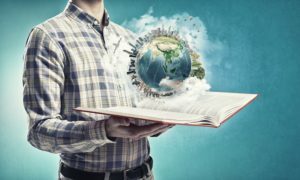 Social sciences courses in environmental policy, geography, and public administration are also beneficial for learning about the political and human aspects of the field. Hands-on experience or coursework in computer modeling, data analysis, and geographic information systems is highly desirable. Master's degrees may sometimes be required for advancement. Environmental scientists aspiring to academic careers will need a doctoral degrees. Those pursuing advanced degrees may do well to major in a specific natural science such as chemistry, biology, physics, or geology, rather than a broader environmental science degree. Read more about getting an online environmental science degree. 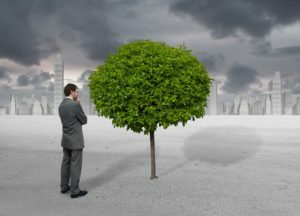 What Kind of Societies and Professional Organizations Do Environmental Scientists Have? The American Geosciences Institute (AGI) is the premier professional association for geoscientists of all stripes. It hosts a data hub for information about educational programs and careers. It also provides professional development, publishes Earth magazine, and makes the professional literature available through the GeoRef database. Click on the highlighted areas below to learn more about each of these specialties. Acoustical Engineers operating in an area of engineering primarily concerned with sound. They will be involved in the design and construction of civic works, residential and commercial/industrial real estate in conjunction with urban planners. However, this covers a diverse range of roles. Graduates with qualifications and expertise in Acoustical Engineering may design machinery, work with transport, agricultural equipment and medical diagnostics, concerning themselves with the sound issues related to design and manufacture. They will work in real estate to reduce noise pollution, in the entertainment industry to improve sound and in researching all aspects of sound waves through physical objects. It is expected that there will be a 10% increase in demand of this type of job within the engineering sector over the next few years, particularly in entertainment. Aerospace Engineers design, test, and oversee the construction of aircraft, spacecraft, missiles, or other airborne national security systems. Advanced positions involve the management of large design projects. 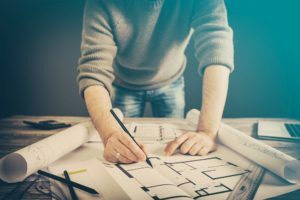 Though the majority of their time is spent in an office environment, some Aerospace Engineers may be required to work in a construction environment when a completed design is finally being created. Becoming an Aerospace Engineer requires a great deal of education and work experience, including at least a bachelor's degree from a 5-year ABET-accredited program, professional engineering licensure, and multiple years of shadowing another aerospace engineer. Growth in the field is expected to remain average compared to other professions. Analytical Chemists are specialized scientists that perform experiments to determine the composition and functioning of different chemical compounds. They spend the majority of their days working in laboratories and offices experimenting on various compounds, analyzing data, and working with other scientists. Analytical Chemists often handle dangerous chemicals and must follow strict procedures to ensure their own safety. Many work for private research firms, pharmaceutical companies, or testing labs. 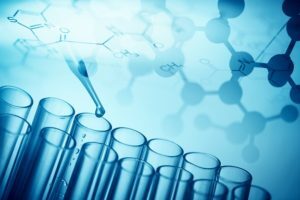 Though it is possible to obtain an entry-level position in Analytical Chemistry with a bachelor’s degree, but a master’s or Ph.D. is required to perform independent research. Animal Psychology, also known as Comparative Psychology, uses multidisciplinary methods and tools to study animal cognitive functions and processes, and behaviors in the wild and captivity. 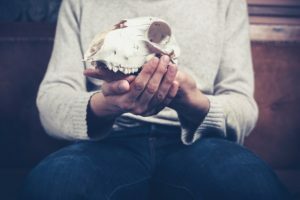 Experts in this field understand biology and ecology as it relates to animals, but also rely heavily on the study of patterns of behavior including social hierarchy and relationships. 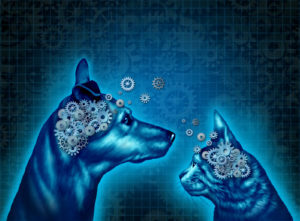 The typical approach for a career in animal psychology is to take a degree in psychology but tailor (where possible) studies and projects, including minors and electives, to animals and wildlife. Did you know that three new species of human have been discovered in the last 12 years? Now extinct, the Denisovans, “Hobbits”, and Red Deer Cave people survived until very recently, overlapping with modern humans. These discoveries, made by biological anthropologists, have shaken the anthropological world, and our understanding of ourselves as the only humans around for at least 20,000 years. Modern humans today are no less varied or interesting. Globalization has opened up a world of new opportunities for learning about other cultures. 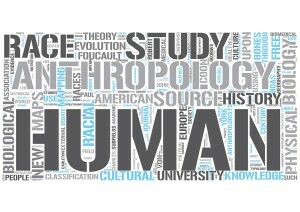 Cultural anthropologists study other societies (as well as our own) to understand human behavior. Anthropologists make fascinating discovering that unravel our past, introduce us to our neighbors, and help us understand what it means to be human. Have you ever dreamed of launching an expedition into an unknown world, uncovering lost tombs, discovering buried treasure, thwarting ancient curses and adventure! Movies and legends have portrayed Archaeology as a romanticised and sensationalist profession. While this is an exaggeration, Archaeology can still be an exciting and exhilarating career choice. 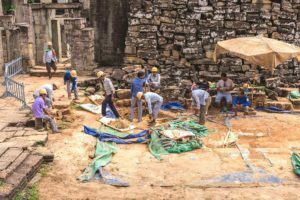 If you want to discovering more about humankind's past and the secrets it holds, Archaeology may be the perfect career choice for you. Architects design buildings, estates, complexes and other elements of the built environment. Their role is to create a building design that adheres to the user’s requirements, and to Federal and state regulation. 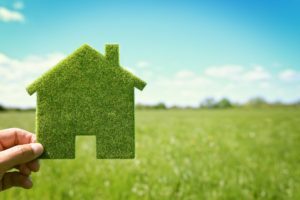 Increasingly, architects need to create designs that reduce the carbon footprint, are adhere to energy efficiency expectations, and make good use of available raw materials. Their work is not over once a design is complete as they may be on-site to given directions on building plans and available for consultation should problems arise. Architectural Historians study, write about and preserve the architecture of our built heritage – buildings and urban landscape. They can work in many areas concerning buildings and built history due to the nature of their qualifications. Mostly, they will work in education such as public engagement for one of our local, state or Federal heritage bodies. They may work as buildings historians, or engage or advise on recreating historic buildings with authentic methods for the TV & movie industry, for living museums or to preserve the authenticity of a town by maintaining the aesthetic of new builds. 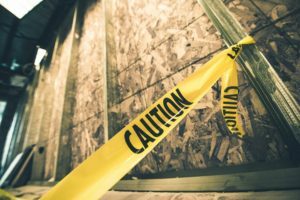 Asbestos Abatement Managers work in an area of the construction concerned with the demolition or remodeling of buildings. They identify possible risks and put in place health and safety measures to protect on-site personnel and the public against the risk of ingesting or inhaling dust particles and other toxic material. 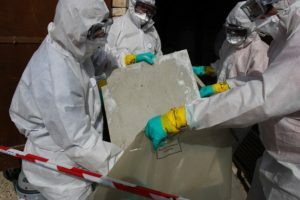 They typically specialize in asbestos (a common 20th century building material that was later revealed to have toxic properties making it dangerous to human health), but also abatement of other toxic material too. Have you been following the progress of the Mars rovers, or India’s impressive feat of entering Mars’ orbit on the first try? Did you hear about the European Space Agency’s asteroid landing? Did you know that we can tell what stars and planets are made of by studying the light they emit or reflect? While astronomy is a universally interesting subject, the not-so-distant prospects of manned missions to Mars, moon colonies, and asteroid mining may make this the most exciting time to become an astronomer since the 1960s. The discoveries of dark matter and dark energy - invisible forces at work in the universe - go to show that there’s still much we don’t know about the cosmos. Who knows what amazing discoveries you might make as an astronomer! Atmospheric Dispersion Modelers work with air quality professionals and meteorologists to determine how atmospheric pollutants may disperse over a local or wider area. Using this data, they design models and present them in digestible formats for stakeholders. They may work in a variety of roles but typically with government environmental bodies and meteorological services to predict and advise on air quality data and predict patterns of distribution. This data can have implications for other industries and decision makers, and be used in potential legal action against polluting businesses. 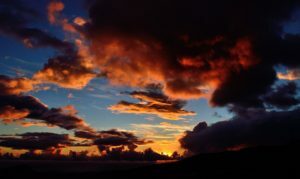 Atmospheric Science is the umbrella term for scientists, researchers, modelers, data capture specialists and others that work with the atmosphere. This includes meteorology and weather analysis, but there is more to the discipline than that and qualified atmospheric scientists can work in a broad scope of jobs. 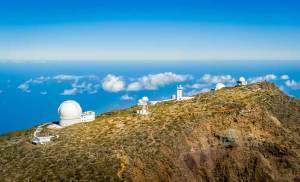 It will also include pollution analysis, pollen count studies, in climate science research (as specialists in the atmosphere, complementing other specialists elsewhere), paleoclimate research, study of the ozone layer and more. Biochemists study biological processes at the molecular level. While they study the small, their work makes a very large contribution to society. How things work at the molecular level affects an entire organism. Biochemists use their expertise to investigate the causes and effects of disease, and how to potentially suppress them. Some research how chemical pollutants and environmental toxins affect the microscopic workings of wildlife and people. And investigating plant processes can help us put them to work as contamination cleanup agents and fuels. Biochemists are curious about life and strive to solve important problems. Did you know that most people not of African descent have at least some Neanderthal DNA? This fascinating and slightly unsettling discovery was made possible by the increasingly complex abilities of computing technology and the sequencing of the human genome. 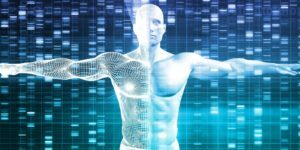 Due to the arrival of advanced computing, many types of analyses have recently become possible, such as discovering drug treatments for genetic disorders. 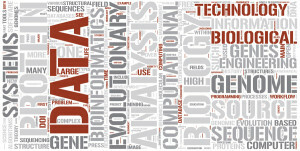 The explosion of "big data" in human biology, wildlife biology, and ecology has grown so unruly - and promising - that a new field dedicated to managing it is emerging. Enter the bioinformatics specialist. Biological Oceanography shares space with Marine Biology but it covers more. Whereas Marine Biology looks at the lifeforms that interact in the oceans, Biological Oceanography looks at the chemical makeup of the ocean and the impact of physical processes on life. Biological Oceanographers will look at the overall environment and ecology, taking into account such processes as tectonic plate movement, geology and jet streams. Biology and Biological Science concerns the nature of living things. Anything that is biological is life – viruses, bacteria, plants, animals and everything in the gaps between. Those with qualifications in this subject can work in a range of biological applications. They may work in medicals research as virologists and epidemiologists, in conservation of threatened species and managing breeding programs, in education (schools and colleges) or working with government agencies for public health protection or in forensics with law enforcement. There is no end to their possibilities. Biophysics is the science of biology as it applies to the physical world around us, specifically the laws of physics. Much like biochemistry, which is a bridge between biology and chemistry, it is a similar bridge between biology and physics. It is the examination of the complexity of life, evolution, and the mathematical laws behind nature and natural processes. They look at the largest life forms down to the smallest individual cells and biological “parts” that make up a body. Biostatisticians analyze data collected from medical studies or clinical trials and use these results to draw conclusions or make predications about future events. Sometimes they may oversee the collection of data or design clinical research trials as well. Most of these specialized statisticians work in offices every day utilizing computer programs to examine data or collaborating with other scientists. However, some may spend a great deal of time performing fieldwork or teaching on a University level. Due to the rising demand for new and innovative pharmaceuticals, the job demand for this occupation is expected for grow much more in 10 years than the average profession. 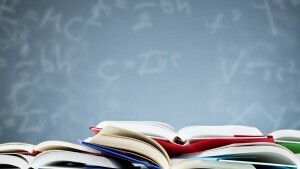 To become a Biostatistician, one must hold a bachelor’s degree in a related field. However, most go on to obtain their master’s or doctorate degrees. 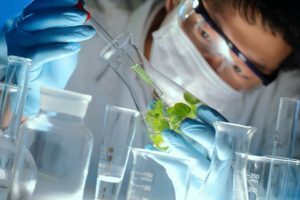 Biotechnologists used applied biology as forms of technology. 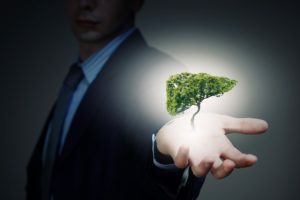 Typical use includes medicine and other health applications, food and agriculture, and green technology (such as biofuels and environmental remediation). They may examine chemical compositions, genetic codes, or the attributes and properties of organic material, and look for practical applications. They may extract or synthesize organic material or alter it genetically for disease resistance or greater yield. 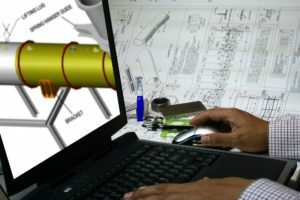 Computer Aided Design or CAD is the process of using computer imagery to produce digital technical drawings. This technology and the specialists are useful in almost every industry but especially in engineering. 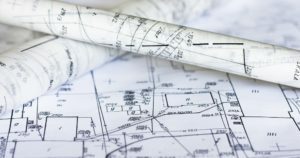 A CAD technician might design and modify plans, create a formal draft from a rough sketch, design products and print plans for decision-makers. 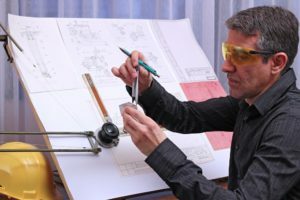 A CAD technician has strong IT skills but often a background in design, architecture or engineering too – depending on the industry in which they work. 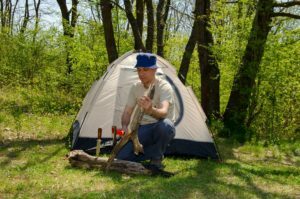 Regardless of where a Camp Counselor works, or the type of camp, his or her duties are nearly always the same. They work at summer and other short-term camps to help people (usually teenagers and young adults) in the activities at the camp. They supervise activities, teach and train new skills, helping to develop young people into responsible adults with life skills. Their roles also include health and safety aspects, providing emotional support and guidance. These roles are available seasonally. Those who work in chemical oceanography are a special kind of oceanographer. Rather than looking at the biology, ecosystems and evolving nature of our oceans, they study the chemical composition of the world’s ocean bodies. They will examine such phenomenon as coral bleaching, carbon content, the impact of volcanoes and earthquakes and other processes that affect the acidity of the oceans. People who work in this sector are at the forefront of examining the impact of climate change and pollution on our oceans. Chemistry is one of the core “hard” sciences, and one of the oldest forms of science. Chemists study the chemicals that make up our world and the solar system around us. They look at the building blocks that make up life, including DNA. In environmental science, they will work in developing chemical fertilizers or study the impact that industrial chemicals and pollutants might have on human health, ecology and the air and water. The field of climatology is growing in exciting directions today. From academics and forecasting to environmental and industry positions, climatologists can have a direct influence on the direction of applied atmospheric science. What an exciting place to be. 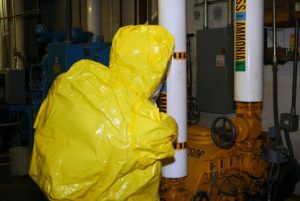 A Decontamination Technician or Decommissioning Technician is an essential part of the nuclear industry and the handling of other hazardous materials. Their role is to remove material dangerous to public health (like nuclear waste) or to clean up sites that have used such material. When a facility is decommissioned, individuals who work in this role are responsible for ensuring that safety procedures are followed with regard to public health and environmental contamination. They will decontaminate the facility in the process of decommissioning. Ecology differs from other biological sciences primarily through its investigation of both the abiotic (non-living) components of an area as well as the biotic (living) components. Thus, ecologists often are involved with research that studies the interactions between the two. 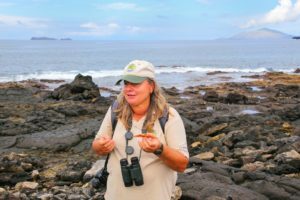 Although ecologists have a wide range of what they can do, typical job duties may include anything from in-field research, development of management plans, acting as a consultant for larger organizations, monitoring biodiversity, or teaching. Oftentimes, ecologists will study how human-induced impacts, for example pollution into a stream, will impact and affect the biotic communities within that area. They may plan the project from its beginning, collect field data for a period of time, and then close the project by reporting their findings with the goal of developing a management plan. In the more senior levels, ecologists may become natural resource managers or research administrators, moving away from the field work and more towards initiating poignant studies. With increased needs for comprehensive understandings of how humans are impacting environments, a career as an ecologist is an exciting one. Ecologists can land jobs in exciting international companies such as the World Wildlife Fund, The Nature Conservancy, or at the World Resources Institute. For more information on a career as an ecologist, a good place to start is the Ecological Society of America (ESA). 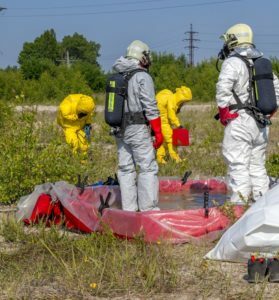 Emergency and Disaster Response Technicians are the “boots on the ground” in the immediate aftermath of an environmental disaster, industrial accident or other emergency. They will be first on the scene following environmental or natural disasters, terrorist attack where hazardous materials might be present. 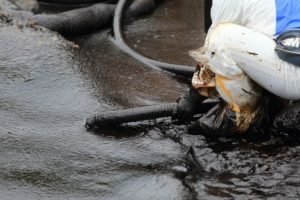 They will help with the cleanup of oil spills, evacuation and directing people in the affected area following an earthquake, volcano eruption, tsunami, hurricanes emergency relief and cleanup following tornados – always with the provision that toxic material could provide a secondary hazard. 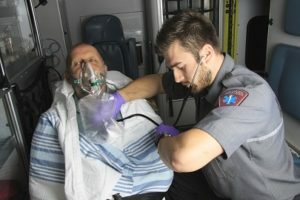 Emergency Medical Technicians (EMTs) and Paramedics are at the forefront of healthcare as a first response medical provider. They will attend road traffic accidents, fires at public and private premises and emergency care to people’s homes after a fall, burn or other accident. 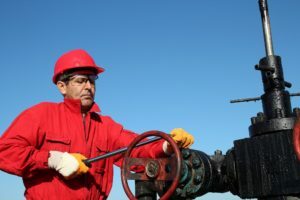 As far as the environmental sector is concerned, they may typically be seen at chemical spill zones, gas leaks and other areas of contamination where people might need emergency medical care at the place of the accident. They work for hospitals, ambulance services, fire departments and the military. The great Harvard entomologist Edward O. Wilson once said, "If insects were to vanish, the environment would collapse into chaos." Insects play a critical role in the earth’s ecosystems. They control pests and recycle nutrients. 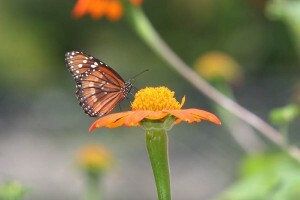 As pollinators, they’re also vital to agriculture. Some species can be detrimental to crops, trees, and animals. Entomologists, scientists who study insects, unravel these relationships. They investigate important issues like the mysterious die-offs of commercially owned bees called "colony collapse disorder". They use their knowledge of insects to protect crops, people, livestock, and the planet. Fortunately, the United States has a variety of laws and regulations in place to help protect the environment. Still, we can't clean up ecosystems or protect the organisms in them if we don’t know there's a problem. Environmental biologists monitor environmental conditions such as water quality and assess the health of ecosystems, often by studying "indicator species" like worms living at the bottom of water bodies. While less than glamourous, these species can provide a picture of the overall health of an ecosystem. They also investigate how development projects might affect ecosystems and the organisms that live in them. Their recommendations can lead to plan modifications that better protect the environment. Nature is the ultimate engineer. It manufactures all kinds of things, from spider webs to bone, all perfectly fine tuned for their functions. And it does it all through incredibly efficient processes that recycle everything, generating zero waste. Environmental biotechnologists have been taking notes from nature. These professionals use natural organisms and processes to clean up contaminants, making the chemicals just another resource. For example, environmental biotechnologists use tough microbes and plants to clean up contaminated environments. Thanks to these workers, former industrial sites can be made safe and redeveloped, improving local environments, health, and economic activity. Other environmental biotechnologists work to make the very heart of our economy more sustainable by creating plant-based biofuels and bioplastics. Either of these specializations can lead to a promising and rewarding career. Chemicals are everywhere – they permeate our economy, our lives, and our environment. While we’ve already tackled some problematic ones like CFCs and DDT, new chemicals are introduced into the environment nearly every day. Sometimes, these chemicals have negative effects that go undetected for quite some time. These days, BPA in food can liners, PFOA from Teflon manufacture, and waterway-clogging, tiny plastic “microbeads” in body care products are a few of the newer challenges. Chemicals that affect the climate, air quality, coral reefs, water quality, and other aspects of the environment make environmental chemistry a fertile field for aspiring scientists who enjoy solving problems and making a difference. Environmental Data Analysts are a special kind of data analyst or statistician. Environmental data can be complex, incorporating sets from a variety of sources and it must be understandable to a variety of stakeholders. They help business executives, government and educators to make the right decision. They also need to produce reports in easy to read language for cross-disciplinary research. They may also be involved in public outreach, presenting facts that the average person may understand. Their job is to take raw data and make sense of it for each respective audience. 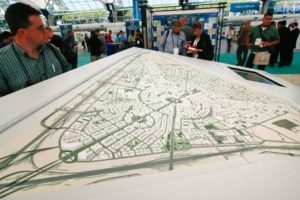 Built environments have huge impacts on the natural world that are currently being exacerbated by population growth, land-use pressure, and the fast development of new technologies. Environmental engineers are instrumental in developing and optimizing built environments in a way that maintains or improves the environmental quality at both the local and global scale. As such, they require intensive training in both conventional engineering, as well as strong understandings of ecological interactions and ecosystem health. Common responsibilities typically include system design, advising on policy and regulation decisions, consulting for natural resource management, and system evaluation and monitoring. 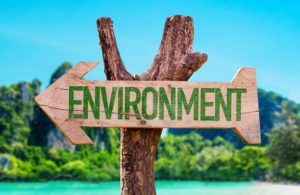 Environmental engineers often work with industrial processes and will develop systems that reduce waste, improve resource efficiency, or mitigate impacts to the local environment. 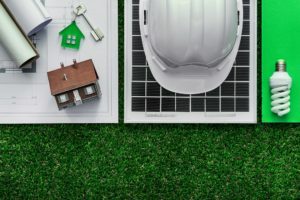 Due to the intensive knowledge base that must be developed across both the engineering and environmental fields, environmental engineers require formal university-based education and are highly competitive in the job market. 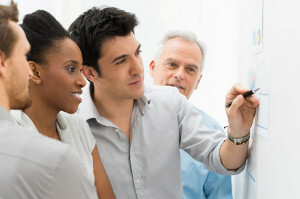 It is common for environmental engineers to work at a variety of levels, including all ranges of the non-profits, private, and governmental sectors. 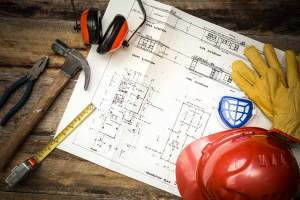 There are a number of associations of environmental engineers that are available for further information on career options and training, but two notable ones include the American Society of Biological and Agricultural Engineers (ASABE) and the American Academy of Environmental Engineering (AAEE). World population projections suggest that we’ll be facing substantial resource challenges in the future, and more and more people are expected to migrate to cities over the next few decades. This urban expansion will fuel increased demand for metals and water. Also, as population increases, more waste will need to be disposed of. Environmental geologists help meet these growing challenges in safe and sustainable ways. 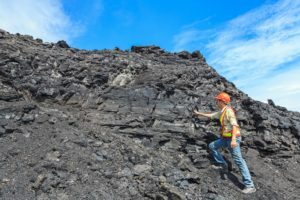 Environmental geology deals with issues that affect - or are affected by - local geology, such as oil and mineral extraction, industrial waste disposal, and natural hazards like volcanoes and earthquakes. Environmental geologists mainly work on preventing groundwater and soil contamination by identifying suitable waste disposal sites and making them environmentally safe. They also help clean up contaminated sites. If you’re interested in geology, want to help solve tough environmental problems, and work in an applied area of specialization, a career in environmental geology may be for you. 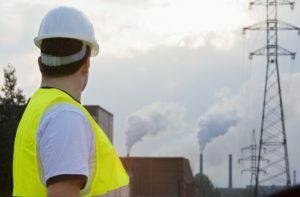 Environmental Health and Safety Managers work in the realm of public health & safety, health and safety at work and risk assessment – all from the angle of environmental issues. This includes risks both from and for the environment, based on the actions of individual people, businesses and their practices. They are responsible for enforcing health & safety legislation in places of work and recommending improvements to organizational practices. They can work in private and public sector, offering advice and technical services to help improve health and safety in the environment. Environmental Health and Safety Technicians design and implement systems to ensure safe practice for people, ecology and environment. They may be in charge of procurement and fitting of devices designed to improve health and safety. They will not be responsible for taking decisions about policy but will be on the front line of consultation and implementation for both indoor and outdoor environments. They require analytical and communication skills to liaise between front line employees and decision-makers. 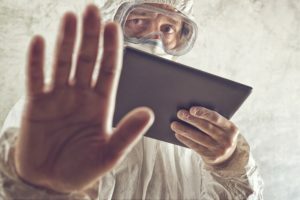 Environmental Health and Safety Trainers work as consultants and trainers: either on a freelance basis, or employed specifically by companies to engage in that role. They provide the training for people who will be responsible for EH&S monitoring or actions. They will rarely engage directly with Health & Safety issues. Instead, they provide education services directly or indirectly to ensure that businesses are able to comply with legislation or industry standards on health and safety and work and proper care in the environment. Environmental Monitors sample the environment around us – the air, water and soil – to look for certain elements. Typically, they will look for chemicals, bacteria or other life forms, and imbalances in the environmental profile. There are many purposes to this, but normally they are looking for pollution, radiation or other problems that could cause short or long-term issues. Environmental Monitors might examine ozone levels of the upper atmosphere or try to work out the effectiveness of workplace ventilation. They are usually looking for things that can affect human, animal or environmental health. Did you know that, when given a choice of painted scenery, most people prefer open landscapes with water? The preeminent Harvard biologist E.O. Wilson attributes this to "biophilia", our need for nature. Specifically, we still prefer environments that were evolutionarily advantageous for us. Our preferences are hard-wired by our history. There’s a reason why some of the most highly-prized Manhattan apartments are those overlooking Central Park. The environments in which we spend time exert a strong influence on our well-being, possibly affecting everything from our attention spans to urban crime. However, other needs seemingly conflict with our built-in need for nature. Our environments have been designed for maximum cost efficiency rather than optimal human well-being. This perceived conflict affects our built environment, as well as the natural environment. Environmental psychologists study the interactions between people and their environments. 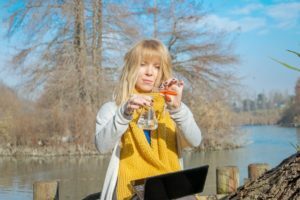 If you’re passionate about the environment, have a way with words, and are better with a pen than a pipette, environmental writing may be an excellent way to combine your interests and skills. Environmental writers develop and share their expertise on a topic such as water or wildlife. Or, they learn about new topics, issues, and technologies. Environmental writers help publicize the potential solutions and brilliant minds that are shaping our energy and environmental future. They also uncover new environmental challenges, bringing them to the attention of policymakers and the public. Ethnoarchaeology is the ethnographic study of technologically primitive people in order to understand elements of our past in an existing context. The aim is to explain phenomena in a number of prehistoric and historic archaeological areas including environment, belief, technology, social development, roles and attitudes, and agriculture (the technology, the process and the social perspective). Ethnoarchaeology helps us understand those elements of archaeology that we cannot always ascertain and about which we can only theorize. Fire and Fuel Managers work at our local, state and national parks or anywhere else that there is extensive woodland that could suffer the effects of forest fire. There has been an increasing need for these in the last few years, particularly in the western states where forest fires are becoming more intense and regular. 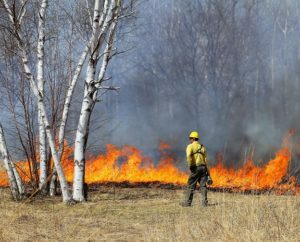 They help control fires and maintain forest to promote new growth as well as administering controlled fires to keep the ecology healthy and prosperous. They are, essentially, forestry managers with a stronger focus on ecology and the role of fire and the fuel that drives it. Fire Protection Engineers are tasked with the design and implementation of system for improving fire safety. They devise and install fire protection equipment and ensure proper use of that equipment. It applies the science of engineering to protect environments, property and people from the effects of fire and smoke. They may specialize in detection, mitigation, prevention or general safety. They have a variety of roles available to them, anywhere there may be a requirement to design electronic or other physical systems for fire safety. Fire Safety Specialists have a range of tasks in their role of fire protection. 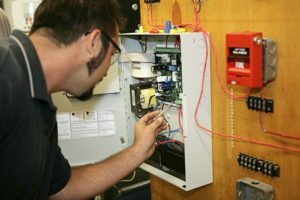 They use and implement systems designed by fire safety engineers and installers. They will be well-versed in fire safety methods, technology, building material and legislation. Their remit is to ensure protection of people, environments. Buildings and landscapes from the effects of fire and smoke damage. They are part health & safety specialist, part risk assessor and part safety manager. They will understand chemical materials, which are flammable and which are retardant and the problem handling in risk assessment. Forensic Biologists are a type of specialist biologist that mostly work for government law enforcement agencies. They collect and analyze evidence from a crime scene with which Police or Federal agents (FBI for example) will build a case. They will also publish reports that will be used in criminal prosecution cases to build a picture of the events or be entered as evidence by the defense or prosecution in building or defending the case. Their specialist knowledge of biology helps build criminal and civil cases. They may also work with anthropologists, using detective skills to piece together a picture of a biological environment or scenario. Abandoned mines and industrial "brownfields" unfortunately pepper the American landscape. 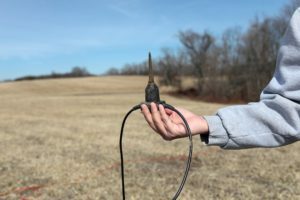 But there’s more than what meets the eye – groundwater contamination is an issue of growing concern, largely due to wastewater injection and fracking for natural gas. Fortunately, environmental forensic scientists are on the case. 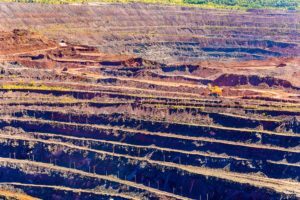 At abandoned mines and brownfields, they help identify the contaminants present and how long they’ve been there, which can help determine which company is responsible. They also determine the nature and cause of contaminated wells or groundwater. Endangered and threatened species face many challenges, including inbreeding and lack of genetic variation due to declining populations. Isolated communities of non-endangered species are also facing challenges. As land clearing and development increase, they fragment wildlife habitats, creating isolated pockets of native wildlife and plant species. Geneticists who study genes, heredity, and genetic variation can help determine how best to boost the gene pools of these wild communities to decrease their susceptibility to disease, increase their evolutionary fitness, and increase their chances for survival. Geochemists use chemistry as a tool to examine volume and distribution of chemicals as aspects of mineral and rock profiles. They also examine how and why such chemical elements end up in the air, in our soils, water systems and as nutrients or food supply, and also the processes that turn organic matter into fossil fuel over geological time. They can work in a variety of industries, from water quality monitoring to fossil fuel prospecting, to chemistry research and academia, and even in rock dating. Geodesists are mapping specialists involved in taking complex measurements of geographic areas, Unlike GIS technicians, they measure and record the large planetary motions such as tides, fault lines, polar motions and gravity. Their methods may have changed in line with technology, but theirs is one of the oldest environmental sciences in the world. With this study, humans have been able to cross the oceans and map our continents, plan growing seasons and fishing; they have contributed to our very survival. Today, they work with astrophysicists, able to measure the distances between stars and galaxies. They are crucial in measuring just about anything. What do melting ice caps have to do with climate refugees in Southeast Asia? How is 3D printing related to reducing carbon emissions? How did the Mississippi River come to be, and what will happen to it in the future? These are just a few of the questions that geographers investigate. 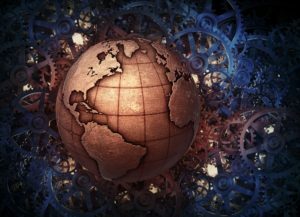 While the word “geography” may make you think of the TV show Jeopardy, it involves much more than memorizing states and world capitals. Geography is a dynamic field that’s all about studying dynamic processes and relationships. If you’re curious about how the planet works, or about relationships between the earth and its societies, a career in geography may be for you. Geographers are at the epicenter of the growing focus on environmental sustainability. 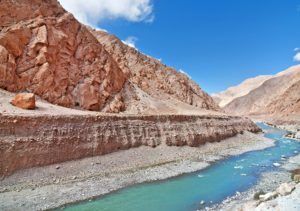 Due to the interdisciplinary nature of geography, geographers are well-positioned to study environmental changes, and how these changes relate to humanity. Geographers can also help policymakers, corporations, and other key players understand interactions between people and the environment, and how to make them more sustainable. We’ve all heard the adage that a picture is worth a thousand words. It’s certainly true with maps, which is why they’ve been popping up everywhere. Maps can get information across quickly, often providing a new perspective. 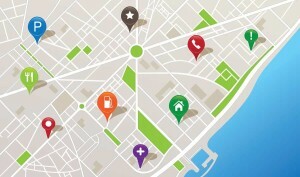 The proliferation of mapping apps and tools means that anyone can make their own simple maps. 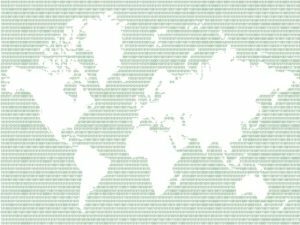 However, geographic information systems (GIS) is about more than just displaying data on a map – it’s also largely about analyzing it. Overlaying multiple different layers of data about the same location in a GIS allows specialists to query them in terms of their spatial relationships with each other. This approach can lead to new insights. GIS specialists use professional-level, sophisticated software to display, query, and analyze data for a wide range of applications. Geological and Geophysical Oceanographers, also known as Marine Geology and Geophysics, look at the physics and geology of the oceans. This includes thermal activity, the effects of gravity and electromagnetic waves and processes that make up the oceans. They study rocks, rock formations and natural processes using specialist technology and record them for other specialists. Their remit is the physics of oceans and how they can affect the chemistry and biology. They examine the natural movements of the Earth to understand what effects it has on life in the oceans. Geologists study rocks, rock formations, rock patterns, structures and the process by which rocks are created, formed shaped and move. Geology is the backbone of Earth sciences that attempt to help us understand the formation of the Earth. 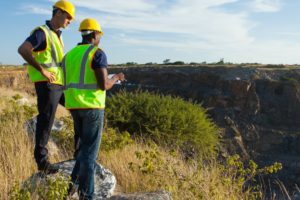 Although many specialize after qualifying to work in specific fields, there are hundreds of opportunities for geological generalists. They may also study biological life as it pertains to geology. Some animal and plant species prefer certain types of rock, and these rocks can affect the acidity or alkalinity of the soil, in turn determining the ecology. They will work with environmental scientists across the board. Geomagnetists are a type of geologist that studies the magnetic fields of the Earth and their impact on the planetary processes, ecologies and wildlife. 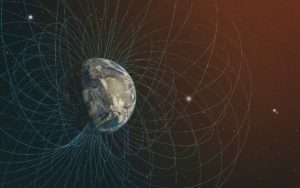 The planet’s magnetic field is the result of natural processes, typically of the Earth’s rotation around the sun, but there are other causes too that require research and understanding. Some of these processes are useful scientifically but also to resource planners. Geomagnetists study these processes in order to understand the physics of our planet and of other astral bodies. They will mostly work at physics labs or alongside other Earth scientists in research positions at science institutes or private labs. A Geomorphologist studies the local topography and terrestrial features of the Earth such as rock formations, sea beds and other natural features as they are shaped by natural terrestrial, extraterrestrial processes. 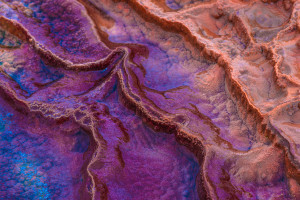 Geomorphologists work alongside other environmental professionals such as geologists, volcanologists, astrophysicists and even archaeologists as they attempt to understand the processes that shape our world through the study of individual features. Geomorphologists will look, for example, at features like The Grand Canyon and explain what and how the canyon was formed. A Geophysicist uses geographical-based technology to measure and map features of our planet to determine such things as their extent, their distribution, and fluctuations in topography (the visible and invisible to the naked eye). Geophysics is a massively important tool to archaeologists and anthropologists, and environmental scientists across the board. The output provides primary data of a geographical nature that permits decision making, and aids a wide variety of research types. In some disciplines, geophysics is part of the normal skill set of the qualification, but there are a large number of specialists providing a more nuanced and deeper set of skills. Qualified geophysicists can work almost anywhere there is a demand without having to understand the science behind it. 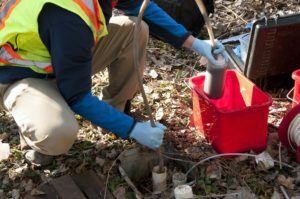 A Geotechnical Lab Technician specializes in lab sampling and testing for geotechnical data – that includes soils and silt, water sampling, air sampling and anything else related to topography. In an increasingly specialized environmental science including legal, policy and health, we need these specialists who known how to treat, record and handle environmental and topographical samples. They are applied scientists with a knowledge and understanding of geographical issues whose skills are required in a range of areas. Geographic Information Systems, or GIS as it is more commonly known, combines mapping with information technology. It can be used for a variety of things but has found particular use in conservation, heritage and environmental management. There are many different types of role within the sector, one of which is GIS Technician. These professionals upload data and ensure its accuracy for specialists and decision-makers. They are essentially database managers. Groundwater Sample Technicians work alongside many other types of environmental scientists such as engineers, ecologists and conservationists. They examine water samples for such properties as pollution levels (and whether those levels are safe or break the law), existing microorganisms (viruses, bacteria etc) or simply to determine environmental change over time. Their roles vary from public prosecution to safety monitoring and public health, or to build a picture of the make-up of an area for development. Habitat Restoration Engineers are a type of Ecological Engineer that modifies an ecosystem, typically restoring it to a former state. They understand the problems caused by fire (natural or artificial), invasive species or other factors that make a significant alteration to an ecosystem. Part conservationist, part engineer and part environmental scientists, Habitat Restoration Engineers have a broad range of skills with multiple applications. They may work in planning and design or in the field implementing those designs. As our understanding of animal psychology changes and evolves, and as zoos change their approach from display to conservation and presentation, much more effort goes into designing the places where animal exhibits reside. 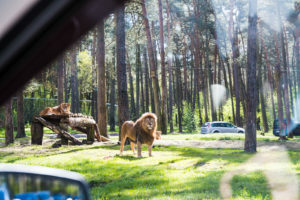 Modern zoos now offer enrichment exercises and recreate native environments for animals. Habitat Specialists design zoo exhibits, taking caution in the design of plants, terrain and providing enough open space. 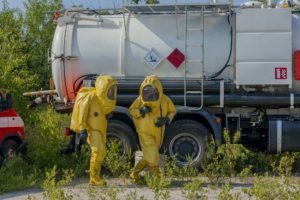 HAZMAT (or Hazardous Material) Specialists perform inspections and analyses of premises to ensure that the property and the people who work within it are handling, storing and using the hazardous materials correctly. They spend their time between offices producing reports and visiting sites to ensure compliance. They are not usually involved in handling and removal, but in the management and monitoring and advising people who make decisions about the material. 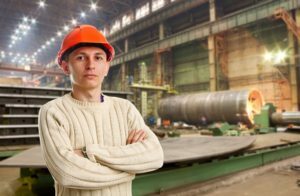 Health and Safety Engineers work to design systems and processes that promote safety in the workplace and our everyday lives. 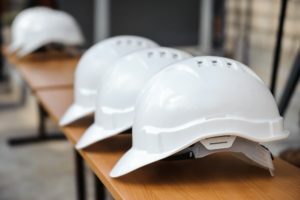 They differ from health & safety managers, and from health & safety consultants, in that they are at the forefront of design, rather than examining processes. Their primary role is the protection of people, places, ecosystems and wildlife from any type of harm. They may work in factories or in office blocks, or in the research and design of relevant technology that promotes safety. With over 4,500 species of amphibians and over 6,500 species of reptiles, "herps" comprise nearly half of all existing species. Herpetologists study these animal groups, usually with the aim of protecting and conserving them. 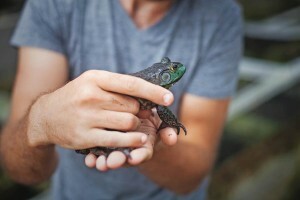 They investigate threats to vulnerable animals like frogs, who are affected by a lethal skin disease caused by chytrid fungus. Some of these species, such as the Northern Cricket Frog, are "indicator species" or "canaries in the coal mine" whose conditions can indicate newly developing environmental problems. History is one of the core humanities. It teaches us about the events and people of the past and provides us with valuable lessons today. It is important for cultural identity of a people, region or country and is cherished as an important aspect of our humanity. Increasingly, it is using primary data provided by archaeology to build an image of the events of the past, not just its traditional realm of historical documents. Many jobs require or prefer to hire historians today, not just education. The modern discipline is a broad subject that teaches transferable skills. A hydrogeologist is a type of geologist that examines how rock, water and geological processes interact with water. They study glacial landscapes, how they came to be, and how water flow will alter a landscape. The data they collect can tell us a great deal about the modern and ancient landscape, and what changes we can expect in future, for example following natural disaster. 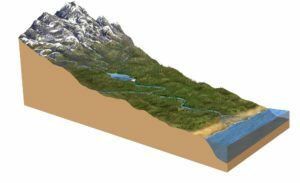 Water shapes our world and hydrogeologists are at the forefront of explaining how by looking at river pathways, flooding and evolution of the geological landscape as shaped by water. Water – it’s the key to life. We came from it, and can’t do without it. Where water goes haywire, you’ll find droughts, floods, and sinking coastlines. It may sound like a disaster movie, but due to climate change, these phenomena are projected to occur more often in certain areas over the years to come. Hydrologists play a key role in studying and predicting these occurrences at the local level, and assessing their potential impacts. They’re critical to communities’ efforts to adapt to climatic shifts. They’re also essential for managing water supplies for cities, industry, agriculture, and wildlife. Hydrologists also help assess the potential impacts of proposed mining operations, large-scale farms, and industrial sites. 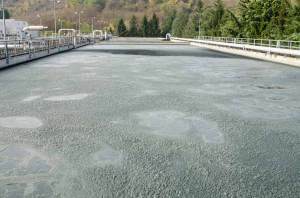 They may also help restore contaminated surface water or groundwater to a more natural condition. People who choose a career in hydrology will have many opportunities to contribute to environmental sustainability. Ichthyologists are scientists that devote their time to studying the history, behavior, growth patterns, and environmental significance of different kinds of fish. They may also work to educate the public about the species’ importance to different ecosystems to advance conservation efforts. 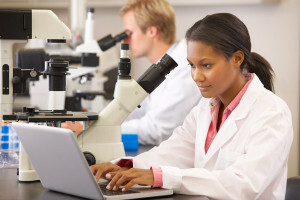 Most of these scientists spend their workdays performing fieldwork and collecting data or working in a laboratory analyzing data and creating reports. Some Ichthyologists work in museums and institutes of higher education, where they may be required to give presentations on the behaviors and environmental significance of certain fish types. Most of these scientists hold a bachelor’s degree at minimum, but many go on to obtain their master’s or doctorate degrees. 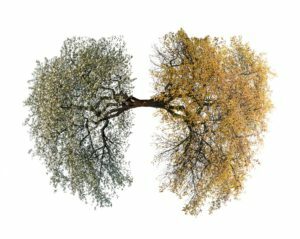 We know that exposure to particle pollution and other air contaminants can lead to asthma and cardiovascular disease. We know less about how this occurs at the molecular level, how to treat these conditions, and how to prevent them from developing. 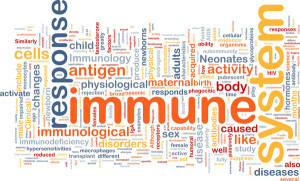 Immunologists who study the immune system work on these important issues. They work on how to treat, and hopefully cure, autoimmune diseases like asthma, lupus, and type-1 diabetes. 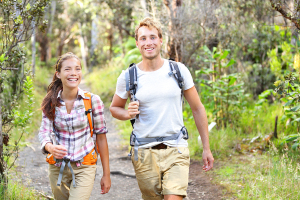 Some research how environmental factors like pollution and lifestyle affect the immune system. Immunologists specializing in other species may even develop cures, treatments, or preventative measures to protect wildlife from the diseases that threaten them. An Industrial Hygienist is involved in a wide range of situations to promote workplace safety. They anticipate potential problems and conduct practical work in the identification, prevention and mitigation of workplace health issues. They may work with industrial chemicals, examine ventilation and design systems for the safe use of potentially toxic materials. They are a type of occupational safety professional, but concerned with physical health and the use of dangerous substances in a safe manner. They are also legal experts in their use. 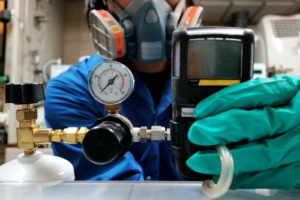 An Instrumentation Calibration Technician works with electronic devices used in laboratory work. Their role is to calibrate equipment, validate, check all parts are functioning properly and monitor for faults and problems that may affect the outcome of an experiment. They work with centrifuges, stability chambers and incubators amongst others. It is their responsibility to ensure that such electronic equipment is operating correctly. If any part is at fault, they may be expected to carry out a repair, replace it or order new parts. The job of an Integrated Water Resources Manager is to balance the economic needs of water supply against social benefit and environmental protection. They co-ordinate the development of civic works to ensure that the water supply is sustainable, safe and sufficient for requirements. This can be a large juggling act to ensure that the people who use the water get enough of it, and to ensure minimum environmental impact. They often work in government agencies and with engineering firms, working with various stakeholders to ensure a project runs smoothly. 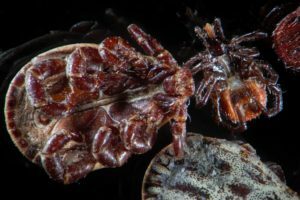 Invertebrate Biologists study living creatures that do not have a backbone. This is an all-encompassing term that includes herpetology, entomology, aquatic life such as jellyfish and many more. Most students partake in biology degrees and work their way through their degree to find their niche. Students of biology may specialize or they may study general biological systems without becoming an expert in any particular field. 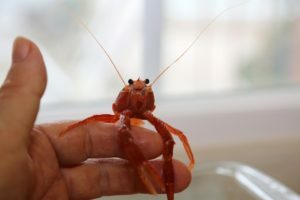 Invertebrate Biologists are a type of zoologist that looks at animals, whether they live on land or at sea, that have no backbone – their form, function, genetics, ecologies and habitats. We can sometimes identify environmentally damaged areas just by looking, or correlate health complaints to a nearby factory or mine. Fish kills may implicate an upstream factory. But we don’t really know, or at least can’t prove, the causes of these types of events without scientific testing. Environmental laboratory technicians test samples for pollutants and contaminants that affect the environment and human health. 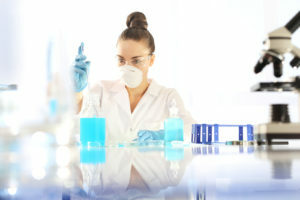 While other types of lab technicians do similar testing, environmental lab technicians focus on tests that directly relate to environmental and environmental health issues. They’re the ones who test for paint-chipped lead in soil, protecting children from developmental delays. They test for contaminants in groundwater, protecting us all. 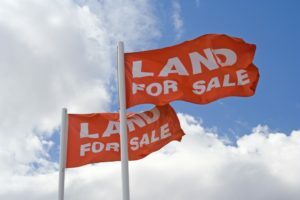 Land Acquisition Managers effectively work as Real Estate managers for companies and businesses looking to acquire land for development for their business interests rather than to purchase for the purpose of development and sales. Businesses of all sizes require property for their premises and that is why they might require the use of Land Acquisition Managers to speculate on, buy up, sell and develop land in the business’ interests. They are not realtors and are not land agents, and do not work managing land day to day, but work on behalf of a business for development. In the protection of our natural environment, we require a range of specialists and professionals. Where most conservation workers are responsible for one small area and have a scientific specialty, land wardens have more practical knowledge and less in the way of technical skills. There is a need for a bridge between these two types of land workers and that is a land management specialist. This type of professional understands the damage of invasive species and human action, but will also use tools on a day to day basis to maintain the landscape. 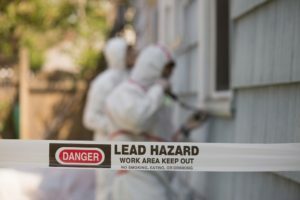 Lead abatement technicians are a type of building safety technicians that deal in the removal of toxic substances, particularly lead. The toxic metal features in building work in several ways – in older paints and in some cases for much older buildings, in roofing. Lead abatement technicians are tasked with the proper handling, removal and disposal of lead. They will also have knowledge of other potentially dangerous building materials such as asbestos. They wear specialist equipment for removal of these materials, and understand the need for their use – perhaps taking charge of others in effective safety measures. Mammalogists observe and study the lives of particular mammals in a number of different capacities. 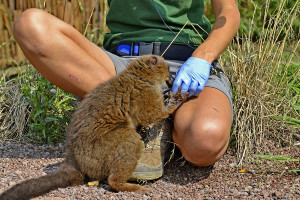 The exact nature of the work depends on the Mammalogist's specialty, which can range from the behaviors of a particular mammal to the taxonomy of multiple mammalian groups. Some Mammalogists are required to observe mammals in their natural habitat, meaning that they must travel out into the field and spend a great deal of time alone in potentially adverse weather conditions. All Mammalogists possess at least a bachelor's degree in zoology, ecology, or other field, though many go on to obtain their master's or Ph.d. 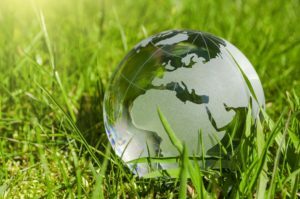 Though the anticipated growth of this profession is relatively slow, the profession's importance has become more important than ever thanks to growing environmental concerns and ever-increasing human populations. Marine biologists study the biological components of our oceans, their interactions with one another, and their relationships with the non-living components as well. 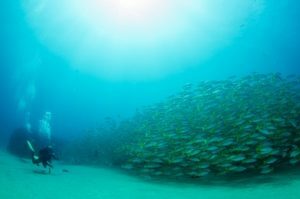 The study of marine biology is a particularly important one, as oceans are some of the most highly polluted ecosystems globally, and fish populations have been hugely overfished within the last half century. 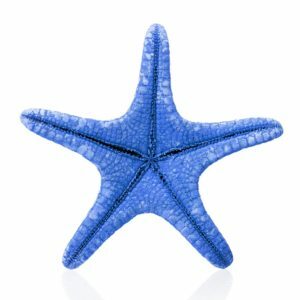 As marine biology is one of the most comprehensive fields to investigate the inter-workings of oceanic environments, it is common for marine biologists to specialize within one subject area, for example a single marine species, behavior, technique, environmental impact or ecosystem. 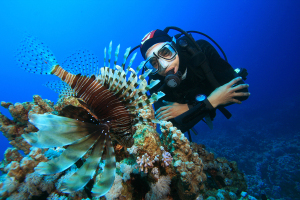 Due to the high specialization that occurs within the field of marine biology, it is often rare to see a job title listed as “Marine Biologist.” Instead, it is common to find titles such as marine microbiologist, fishery biologist, or systems analyst. Other marine biologists even delve into more socioeconomic related topics looking at topics such as access to common resources and the “tragedy of the commons.” While currently the job market for marine biologists is highly competitive, emerging fields such as marine biotechnology that explores biomedical solutions from marine organisms offer great opportunities. 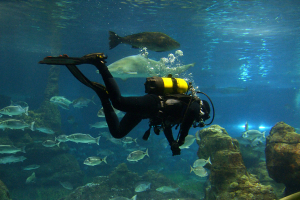 Marine biologists require formal training through a high-quality degree program, most of which are located at universities along the coasts of the globe. Marine Geologists are a type of geologist that study the natural processes relating to rocks and how they pertain to the ocean floor. The oceans are a fascinating resource and of the least understood and studied areas of geology, mostly because it is difficult to study them in detail. Marine Geologists plan and examine geochemical processes, geological oceanography and the history of our coastal zones, including sediment as well as rock, and such large systems as continental drift occur. It is a cross-disciplinary approach that uses a wide variety of data from other Earth sciences. 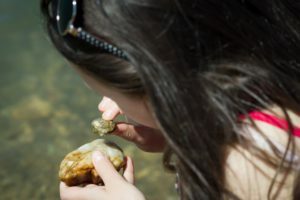 A Marine Science Educator works in a variety of areas, sometimes with public interaction such as at tourist facilities, conservation areas and research stations where the public may be invited. This type of role is different from a teacher as adult learners and a general audience requires different methods and levels of information. In the conservation of our marine spaces, public awareness is vital to promoting respect for the environment, fundraising and public education. This is why we need marine science educators in non-school environments. 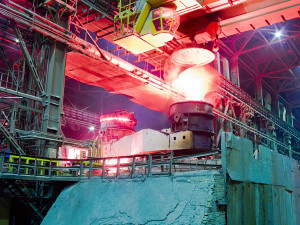 Metallurgical Engineers fulfill a number of roles in mining and engineering, typically in a hands-on way. Amongst their tasks and responsibilities are mine design, safety checks and repairs, logistics of moving people and material in and out of the mine, and producing reports. Students who wish to become this type of engineer need solid performance in the hard sciences such as physics and geology, but especially math. Engineers of all kinds need this good grounding in the sciences. Metals are crucial to nearly every aspect of modern society, from bridges to skyscrapers to smartphones. Metallurgists are engineers who study the properties of metals so we can extract them from ores and use them efficiently. They make sure that the right metal is used to make the right product, and test for product quality. Their efforts help make things made with metals safe. They can also make extraction and manufacturing processes, as well as the products themselves, more efficient, making them easier on the environment. Meteorologists are tasked with the phenomenally difficult assignment of identifying, modeling, and predicting weather and climate patterns. Meteorologists are found in a variety of different organizations, anywhere from news forecasts, the military, the airlines, the farmers, or even road crews. 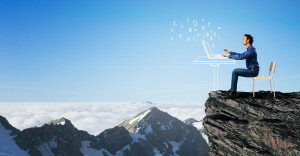 Primarily, their duties involve taking data from the land, sea and upper atmosphere to develop predictive computer models of future climate and weather events, and then communicating that information to third parties. 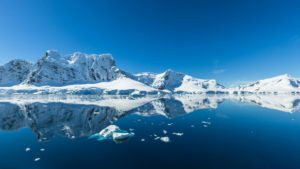 Meteorologists that focus primarily on long term climate change are of increasing importance within the environmental sector, with increasing numbers of governments and organizations recognizing the importance of adapting towards future climatic pressures. As future climatic patterns are largely sporadic and unknown at this point, there is significant work to be conducted here. 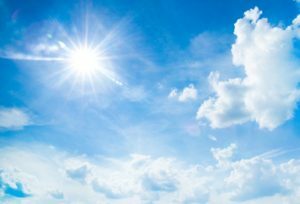 Meteorologists may team up with others involved in the environmental sector to see how climatic changes will affect existing environmental problems. For example, they may work with ecologists to study how the suitable range of a particular species may change with expected variation in regional climatic patterns. A career as a meteorologist is thus a broad one, and can range from being involved in heavily science-oriented projects to the more traditional communication of short-term weather events to the general public. Microbiology is the study of microscopic organisms. Thus, microbiologists are hugely important in the study of disease and environmental health. Due to the vast number of microorganisms that inhabit our planet, microbiologists often specialize in a certain type of microbe. Specializations of microbiologists include, but are not limited to, virologists (study viruses), bacteriologists (studying bacteria), and mycologists (studying fungi.) 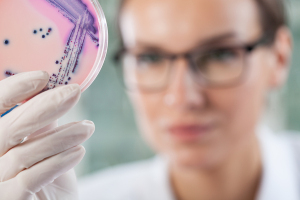 Microbiologists are invaluable to society because they ensure the environmental health of the food, air, and water that humans consume on a daily basis. Additionally, they are responsible for the development of medicines and preventative measures for malicious microorganisms. Microbiologists’ duties within the environmental sphere commonly include both in-field data collection and in-laboratory sample analysis. 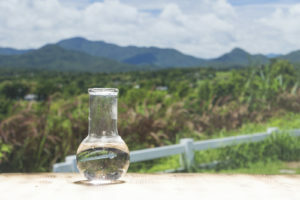 The day-to-day activities of an environmental microbiologist might include collecting water samples from a polluted water source, identifying the responsible microorganism, and either identifying the source it originates from or developing a solution for restoring the water source to its natural environmental conditions. 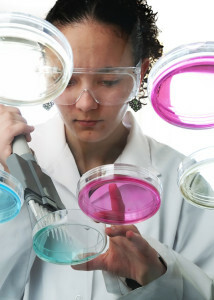 Pursuing a career as a microbiologist requires formal training at a four year institution in a microbiological science program.As microorganisms are some of the fastest evolving species on the planet and increasing population densities exacerbate public health concerns, a career path as a micro-biologist is a rewarding and exciting one to take. Metals like copper and rare earth minerals are integral to modern computing and our mobile electronic devices. As you might imagine, demand for these minerals, also called rare earth elements, is on the rise. As the name implies, these valuable minerals are few and far apart – not highly concentrated. Mineralogists study minerals and often work for mining companies, where they help process minerals in ores to make the most of them. They have the fascinating task of studying the geochemical properties and processes of the earth. Mining is crucial to civilization as we know it. For better or worse, Western society still runs largely on coal energy. 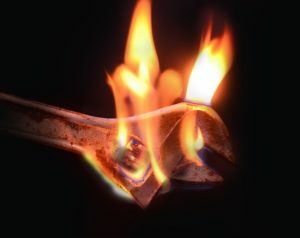 But even as coal is eventually replaced by other energy sources, we’ll still require metals for skyscrapers, manufacturing, consumer products, and the rare earth minerals needed for the ever-increasing numbers of electronics. NASA is even discussing mining asteroids for their metals, and the European Space Agencyset down a lander on an asteroid in November 2014. Who knows – maybe someday you could help plan an asteroid mining mission! Mining Surveyors work with technology in the landscape to examine a number of aspects regarding mining. 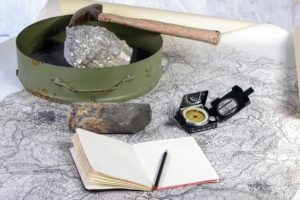 Typically, they will investigate landscapes for resource potential, predict deposits using surveying data, interpret and provide information from maps, examine property boundaries and legal aspects and many other elements in the decision to build, maintain, expand or close a mine. Their knowledge and applied science background make them a vital link in the research of the landscape. 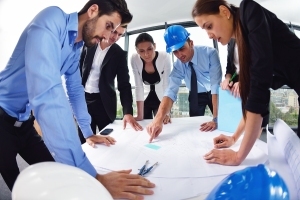 They may even be part of an engineering team and supervise construction of a site. Modeling Specialists design and implement models from extensive data sets and (typically) output them as graphical data for broader and wider consumption. Modeling Specialist is an umbrella term that covers GIS technicians (who produce map models), but also statistical analysis such as graphs. They can work in any field where statistical data is required – market research, public service planning, health data, epidemic tracking and management. In environmental science, they could plot and monitor pollution levels. 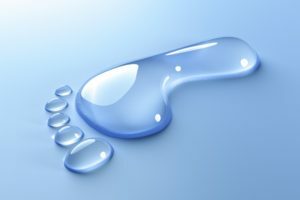 Damp is a problem in many of our buildings – commercial, industrial and residential. Damp environments, older buildings, those with poor ventilation and buildings in moist environments need to keep moisture and mold under control. 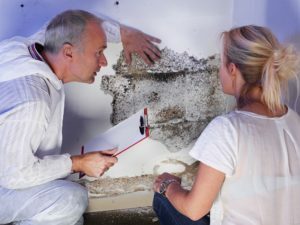 That is usually the job of the Mold Remediation Technician. His or her role is to identify problems with damp and remedy them to avoid structural damage and problems to human health associated with damp environments. They are part of a network of Occupational Health & Safety, vital to residential areas and the workplace. Molecular Biologists perform experiments on the molecular level to better understand how small particles behave and operate. These scientists are essential to developing newer and better treatments for various illnesses and diseases. Most Molecular Biologists spend the majority of their time in a lab environment or preparing data reports in an office. Prospective Molecular Biologists must be prepared to obtain a Ph.D. in chemistry, biology, or other related field. Performing postdoctoral work is essential to receiving more training and launching a full-fledged career. Though it is possible to obtain an entry-level position with a Bachelor’s degree, it is extremely difficult to advance without pursuing further education. “Naturalism” is one of the oldest of the modern sciences. In the past, many naturalists were amateur observers, sometimes without scientific training, who had the means to travel to observe nature. Today, a naturalist is an expert on the natural world. They are a type of biologist but their interests lie in the general overview of nature interaction including observations regarding evolutionary patterns, environmental impact on species and interactions between living creatures, each other and their environment. NEPA (National Environmental Protection Act) and CEQA (California Environmental Quality Act) are pieces of Federal and state government legislation designed to protect the environment. Both introduced in 1970, today their complexity in line with wider environmental protection laws require employees to manage the practical and documentary aspects of these roles. The US and organizations operating within our borders have a duty and commitment to protect the environment and comply with the evolving nature of environmental laws. 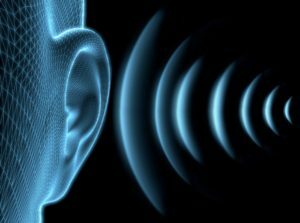 Noise Experts have a number of variations on their title including Noise Pollution Analyst, Sound Monitor or Environmental Sound Monitoring to name a few. 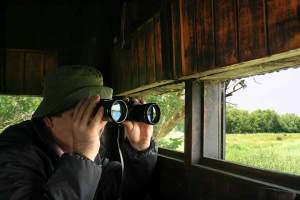 They can work in a variety of roles, but most commonly in monitoring noise pollution in line with environmental law and impact on environments. They are a type of Environmental Protection Technician but work in a niche using technology to measure environmental sound. We are only just becoming aware of the potential impact of noise pollution on ecology and human health. 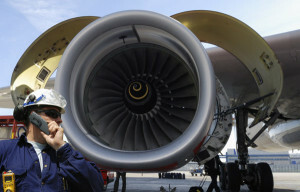 Noise Impact Modeling Specialists are a type of expert on noise analysis dealing with impact models. They will have a range of skills including understanding of statistics, digital mapping and modeling software. They will also have a great deal of knowledge about environmental impact of noise pollution. Because of these broad and important skills, they can work in a wide range of roles. They may act as business consultants, as researchers, or as part of environmental assessment teams. Their skills are transferable, especially in their use of statistics and data analysis. While marine biologists focus more on the biotic (living) components of marine ecosystems, oceanographers focus more on the abiotic (non-living) components. Similar to marine biology, there are many specializations within oceanography that an individual can focus on: ocean circulation, plate tectonics and sea floor geology, nutrient cycling, and the chemical components of the ocean. As the abiotic components of oceans are highly interdependent on their surrounding terrestrial and atmospheric biomes, oceanographers often require strong interdisciplinary understandings of the physics and chemical principles that govern interactions between the ocean and its surrounding biomes. 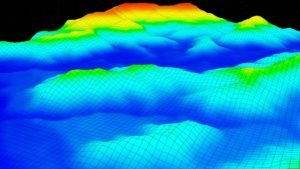 The day-to-day activities of an oceanographer may require collecting samples from the sea, sea floor or atmosphere; developing computer based models that predict oceanic phenomena; or analyzing and synthesizing results to convey to third parties. Oceanographers often fund their research projects through grants and thus their work commonly follows the standard scientific method protocols. Oceanographers commonly work within academia, but may also work on interdisciplinary teams in industry or government. Due to the highly interdisciplinary nature of the work, strong understandings of biology, chemistry, geology, and physics are required. Thus, training through a broad spectrum degree program such as environmental science with an emphasis on oceans will best prepare individuals for careers as oceanographers. Open Space Planners use a wide knowledge based to set aside land parcels for relevant use and maximum care and protection. They are not engineers, nor are they environmental scientists, but they have knowledge of both groups relevant to open space management and care. They must also understand elements of ecology, planning, conservation issues, hydrology and how human action can affect a landscape. They are the ideal consultants for any engineering works as they represent the multidisciplinary approach required in modern public works planning and building. They are just as involved in planning land for leisure use as they are for industrial infrastructure. From Da Vinci and the Wright Brothers to Hitchcock and Happy Feet, birds have always had the ability to capture our imagination. Our modern airplanes make them no less mysterious. Birds are endlessly various – large and small, flightless and airborne, the hummingbird and the hawk. It’s no wonder that many people enjoy bird watching, and some go on to make careers out of studying them. These endearing creatures are facing threats from climate change, habitat loss, invasive species, and even predation by domestic cats. Ornithologists can help us better understand the behavior and needs of birds, and address the challenges facing them. Paleobiologists (or palaeobiologists) study the fossilized remains of extinct life. From the smallest microorganisms up to the largest behemoths of the sky, sea and land, they look at remains to determine a number of things. They will look at such attributes as morphology, distribution, ecological relationships and evolutionary theory. 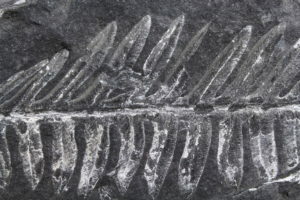 Where paleontologists look at extinct animal life and paleobotanists look at extinct plant life, only paleobiology incorporates both of these disciplines and much more. 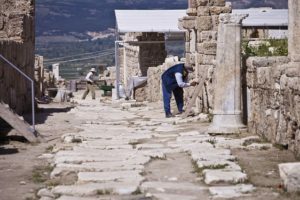 Typically, their job roles are academic based although in some cases, just like archeology, it is tied to commercial, industrial and residential development. Information is recorded for future reference. 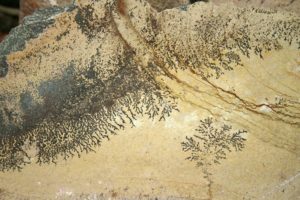 Paleobotanists branches the gap between botany and paleobiology. In essence, they study the fossilized remains of ancient or extinct plants. They use many tools and a multidisciplinary approach to examine the form and ecology of ancient plant remains – flowers, wood, leaves, sap, seeds, pollen and spores and so on. They may be involved in the study of their evolution or may work towards reconstructing a paleoclimate of an area. In industry, they can work with petrochemicals in attempting to find new pockets of oil and gas. They understand geology, botany, biology and ecology. They study paleobotany. Climate scientists or climatologists study information and data relating to local and global environments as they are today. 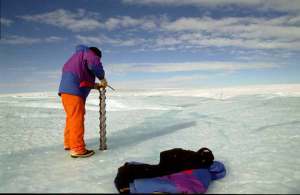 Paleoclimatologists examine the same information but are slightly different. Instead of taking air and water samples from today, they look at ice cores, sediments and tree rings in an attempt to understand how local and global climate looked in the distant past. Through their work, we know the average temperatures, ice cover and even oxygen levels from millions of years ago. Paleoecologists are vital in the study of the ancient climate so that we may draw parallels with modern climate data. They work all over the world collecting a range of data and analyzing it. Some work in the field while others produce reports for consumption of government bodies or global scientific groups such as the IPCC. They examine data in order to build a picture of what the past’s climate and ecology may have looked like. Paleoethnobotanists are a type of archaeologist or anthropologist that studies the cultural importance of plant-based organic materials to people in the past. 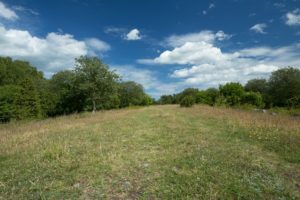 They will use archaeological methods and tools to understand the relationship between humans in the past and the plant materials that they utilized. They work on archaeological sites and in labs, carrying out tests on plant remains. They may also be called archaeobotanists; the role is essentially the same. Paleomagnetism is a niche area concerned primarily with aging rocks and inclusions within them. With applications in geology, ecology, archaeology and soil science, they can tell us much about the age of the ecological world around us. They take magnetic readings from organic materials in order to build a picture of an age of items or the landscape. Organic material and sedimentary rocks each have a magnetic marker that these professionals may read. 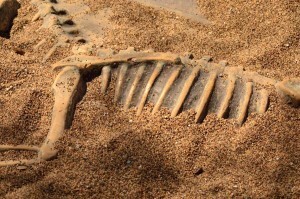 While the word "paleontologist" may conjure scenes from Jurassic Park, paleontology is about much more than dinosaurs. While it focuses on prehistory, it uses cutting-edge scientific methods to unearth the climatic, biologic, ecologic, and evolutionary stories that may serve as modern cautionary tales. Many geoscientists agree that life on earth is undergoing a human-made sixth major extinction, in a proposed new geologic age dubbed the Anthropocene - the epoch of humans. Learning about the climatic changes of the past and the Achilles' heels of long extinct species can help us forge successful plans for the future of the planet and the human race. Paleozoologists study animal remains from the past. Where paleontologists study only fossilized remains, paleozoologists examine fossils and surviving organic animal remains. 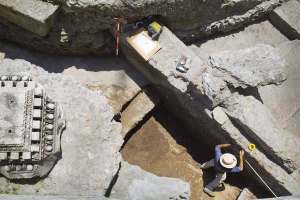 This means that they can work with archeologists, paleontologists and anthropologists, fulfilling much the same roles and looking at the same evidence types, consulting and collaborating on projects. The majority of paleozoologists work in academia in archaeology, but some also work in industry for private scientific service units and others for the construction industry. Palynology is the study of plant reproductive material where the plant reproduces sexually rather than asexually. 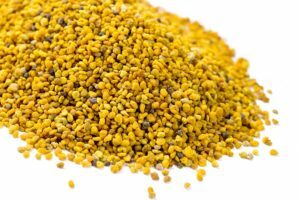 This typically means the study of pollen and spores in terms of their genetic structure, distribution and where they are found in the environment. Palynology has many uses as a discipline from archaeology to botany and plant evolution to the environment as an indicator of environmental change. Parasitology is the study of parasites, their hosts and the environments in which they breed and survive. Initially constrained to medical research, it has expanded in the last few decades to examine the role of parasites in environmental sciences – particularly parasites of other animals and plants, and including fungi that only thrive and reproduce my infecting other plants. It’s one of the sciences key to understanding how our ecology works. The petroleum industry employs a wide range of professionals with a variety of skills; one such employee is a Petroleum Geologist. 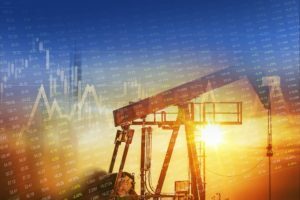 They work primarily in prospecting, examining geological information to find new pockets of petroleum and, increasingly, other types of fossil fuel such as natural gas. 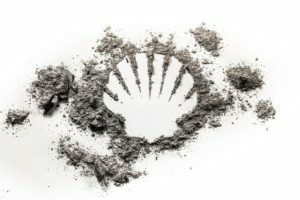 They will use a range of tools at their disposal from survey data, maps, GIS and other digital resources, satellite data and more in order to locate key indicators of fossil fuel presence. Geological and Petroleum Technicians fulfill a vital role in the location and mining of petroleum products such as crude oil. They will either work in the field or in the lab. Those who work in the field collect samples and use technologies such as GIS and report back to engineers and other senior planners so that decisions may be made. They are effectively the elbow work of the petroleum industry, tasked with seeking evidence of new pockets and providing support. Lab workers and other desk-based employees analyze evidence and compile reports for decision makers. Spray-on solar cells are shaking things up in the solar power world. Thanks to physicists and other scientists, we can now spray working solar cells onto thin, flexible materials, which can eventually be embedded in windows, cars, and other unlikely objects. "Thin-film photovoltaics" is a burgeoning field. Researchers are working on increasing their efficiency. The next generation of thin-film photovoltaics could change the energy game. Physicist do a lot more than solve equations and study theory. They use their knowledge of physical properties to improve electronics and materials, making them more efficient and better for the environment. They’re enhancing the efficiency of tidal, wave, geothermal, and wind power systems. Physicists are at the cutting edge of solving real-world problems. A physiologist is a type of medical professional that examines the parts of the human body and how they interact together. 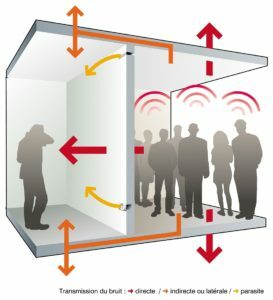 How this applies to environment is that they will understand how environment affects the body – the results of heat and cold exposure, reaction to things like sunburn, chemical exposure, hypothermia and hyperthermia, oxygen deprivation from altitude, plant and animal toxin, poison and venom exposure and much more. The environment can be a dangerous place for the human body. 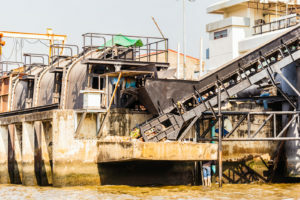 Pollution Prevention Technicians go by several names, but their job role is always the same – implementing measures and using technologies to prevent pollution spillage and spread. They are a type of health and safety professional that examines an organization’s safety procedures. They ensure correct storage and use and that the relevant people comply with safety legislation and instructions. They may also work in the field collecting soil and air samples to ensure that all parties adhere to safety standards. Primatologists are a specific kind of Zoologist that works specifically with non-human primates. 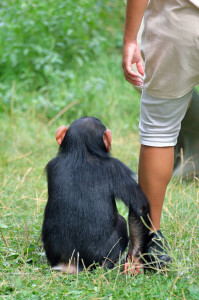 Depending on the Primatologist's specialty, people working in this field may have very different responsibilities. For example, some Primatologists may be responsible for studying ape DNA in a laboratory, while other Primatologists may be required to observe wild primates. Though this profession requires different kinds of work in varying settings, fieldwork can often be strenuous and physically taxing. The educational requirements for this profession are quite advanced and may require years of schooling and hard work. Ultimately, Primatologists are important for understanding some of humankind's closest living relatives, allowing us to learn and understand more about ourselves in the process. Radiation is a fact of life. It occurs naturally in the environment all around us. Since the 1950s, humanity has harnessed this great resource to generate a large proportion of our energy requirements. As accidents at Chernobyl, Three Mile Island and Fukushima demonstrated, there is potentially for long-term harm. Radiation Protection Technicians devise systems to prevent disaster and to limit the amount of damage that a nuclear accident can cause. Yet this is not their only role. Some rocks give off higher levels of radiation and they may be involved in mitigating naturally occurring radiation too. 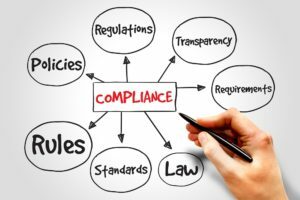 Regulatory Compliance Managers work within businesses to ensure that the processes, employees and policies adhere to legislation. In the environmental sector, that includes use of materials and handling potentially toxic and polluting materials and their proper disposal. Environment may not be their only role. They may also be responsible for health and safety implementation and regulation. They will design systems and give guidance to decision makers up and down the chain to ensure that the organization does not break the law. They work in most business and organizations including government, private industry and charity. 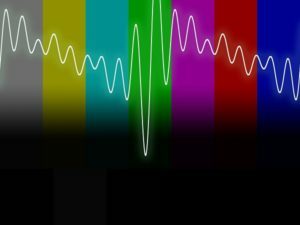 Human beings see visible light with our eyes, but there are many other types of energy on the electromagnetic spectrum we’re missing out on. Our senses are actually quite limited; we have no built-in way to detect near-infrared, mid-infrared, thermal, or microwave energy. Why? Because it wasn't necessary for our survival. Now, we need all the tools we can get to survive and thrive on a degraded planet. Fortunately, scientific advances have led to a suite of remote sensing tools and techniques that help us study our environment in new ways. 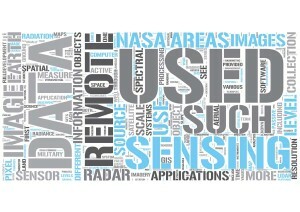 Remote sensing refers to “sensing” or collecting information about objects from a distance. Remote sensing technicians collect information on how an object of study interacts with the electromagnetic spectrum at various wavelengths. They allow us to “extend our senses” so we can “see” how other wavelengths of light and energy interact with the world around us. For example, air and satellite photos record how visible energy from the sun is reflected by the earth. By analyzing how additional wavelengths are reflected by the earth, we can determine ocean temperatures, the amount of water inside plants, the health of forests, land use changes, elevation changes, air pollution levels and more. It’s an exciting, rapidly changing, and growing high-tech field. Safety Directors work in businesses where there are potential hazards to health, life and environment. Although not directly involved in overseeing risks and mitigating risks, they are in charge of ensuring a number of safety protocols. This will include adherence to legislation, designing and implementing, and reporting on systems already in place. They are likely to be the ultimate authority to who all members of staff report in determining safety procedures. Should accidents occur, they are responsible for directing the outcomes and mitigation. Safety Supervisors work across all organizations where safety issues are a daily necessity. They deal with health hazards, and those that are a threat to life, livelihoods, wildlife and the environment. These individuals are directly involved in overseeing projects of risk mitigation and cleanup. They are in charge of enforcing safety protocols and delegating tasks on the ground during the course of a project. They will have knowledge of safety legislation (environmental and public health) and protocols as they work in practice. Safety Supervisors are in charge at the scene of an accident and oversee daily procedures. 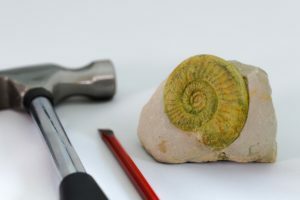 Sedimentologists work closely with geologists and other earth scientists in collecting and analyzing data about the natural world. As the name suggests, they study sediments from dry land and wet land including rivers, marshes (salt and fresh water) swamps, and from ocean tidal ranges where there is soil or silt. They look for a wide variety of data including but not limited to archaeological data, evidence of climate change, evidence of natural and human action and even evidence of fossil fuels. They can work in almost any industry but typically work in academia and in the petroleum industry. At the center of the earth lies a solid inner core, surrounded by a liquid outer core. And you probably remember there’s also the mantle and the crust. But how on earth do we know this? The answer is seismology. 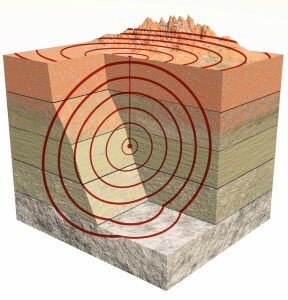 There are different types of seismic waves, some of which are faster or slower than others. Some travel through rock and liquid, while others can only travel through rock – not liquid. Seismologists use this information to study how waves from earthquakes and other sources traveled through the earth, cleverly discovering the internal structure of our planet. Many seismologists help us predict when and where seismic events like earthquakes will occur. Snake milkers are a tiny subset of herpetologists, a type of zoologist. They are specially trained in the extraction of snake venom and require licensing in order to practice. These species are often protected in the parts of the world where they reside and require specialist handling and certification. 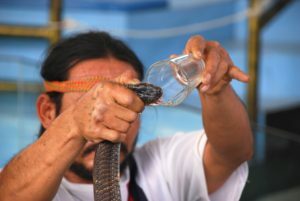 Snake milkers remove venom from snakes without harming them for the purpose of medical study, research purposes or to produce an anti-venom when somebody is bitten. 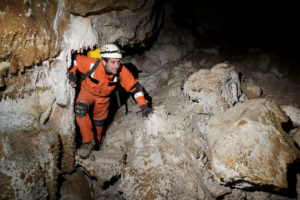 Speleology is a multidisciplinary subject combing ecology, geology, mineralogy, hydrology, the life sciences, and even archaeology, anthropology and paleontology to study caves. These professionals can be concerned with the chemical and geological processes on how caves form or the social aspect – such as recreation or as homes for ancient populations. They might also study caves from a zoological perspective such as researching bats or blind cave fish. Stratigraphy is the study of topographic layers in a landscape. Archaeologists, geologists, soil scientists and others use the method to study how deposits are set down and in what order. For archaeology, this is just as likely at an urban as a rural site. They will also attempt to explain what processes shaped how and why the current landscape looks the way it presently does. Stratigraphers can work in any of these relevant disciplines and where they work (and which discipline) dictates their role. 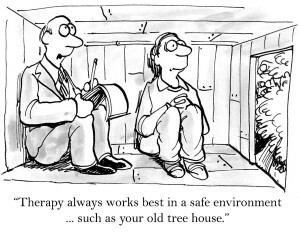 Treatment, Storage and Disposal Technicians are vital in the modern age. From household waste to industrial chemicals, many substances we use every day are unavoidable. They are toxic but can become safe with the proper handling, care and disposal. Some have been in use since before we understood their hazards. That is why when businesses and households come to dispose of these substances, we require specialists to do so in a safe manner. There are laws on how these substances ought to be disposed – for example to incinerators, to landfill, or sent for processing to make them safe. Volcanologists study the history, behavior, and functioning of volcanoes. 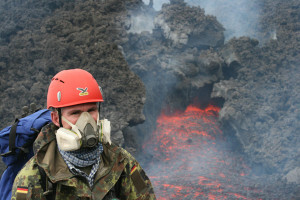 They typically do this by traveling to locations with old or current volcanic activity, collecting samples, examining the data in a laboratory, and then communicating their findings to the world. They may also use this data to predict future volcanic eruptions and protect populations living around the site of interest. This position may require extensive traveling and outdoor work, as well as long or irregular hours when performing fieldwork. Most of these scientists have a master’s or doctorate’s degree, as specialization in the field is often impossible during undergraduate education. However, holding a bachelor’s may help obtain a simple research assistant position in the field. Volcanology is a promising field, growing faster than the average position due to increased interest in resource conservation and environmental protection. 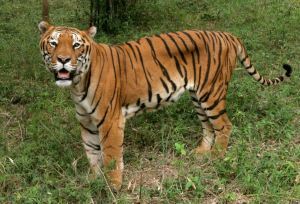 Wildlife Biologists are esteemed biological scientists that explore the hidden lives of animals and localized ecosystems. The ever-growing human population and its effects on precious ecosystems has become a source of jobs within this industry. This career is appealing to those who enjoy working outside, with animals, or studying samples in a lab environment. Zoologists study the behaviors, origins, genetics, health, and life stages of animals. As zoologists specialize in understandingthe biology of a large number of animals, they often work in conjunction with wildlife managers, marine biologists, or veterinarians to help manage animal populations in both captivity and the wild. One of the biggest places of employment for zoologists is, true to the name, within a zoo. Other less-well known places of employment include state parks, laboratories, academia, or environmental conservation groups. Zoologists can choose to specialize in a particular branch such as mammalogy (mammals), ichthyology (fish), herpetology (reptiles), or ornithology (birds). Training for a career as a zoologist is best undertaken with a degree in either biology or zoology. Although it is possible to enter the field with a bachelor’s degree, the attainment of a master’s level or higher is preferred. Given the very high rate of species loss at present, a career as a zoologist is a fascinating one. Zoologists might be involved in day-to-day laboratory, field, or literature based research. They may act within larger interdisciplinary research teams, or work hands on with animals in the development of breeding programs. Other skills that may suit the aspiring zoologist are a familiarity with technology, as high-tech scientific equipment is commonly used within zoology-related research projects.